2. Venus ruled by Sun which is sesquiquadrate Neptune and South Node. 3. Venus contraparallel Pluto (bridged by Mercury/Saturn). If this is racially motivated, then George-Soros-funded Black Lives Matter and the race-baiting Barack Obama bear some responsibility. Soros is white; he was also apparently a Nazi collaborator during the Third Reich. This calls into question what the motives of Black Lives Matter really are. 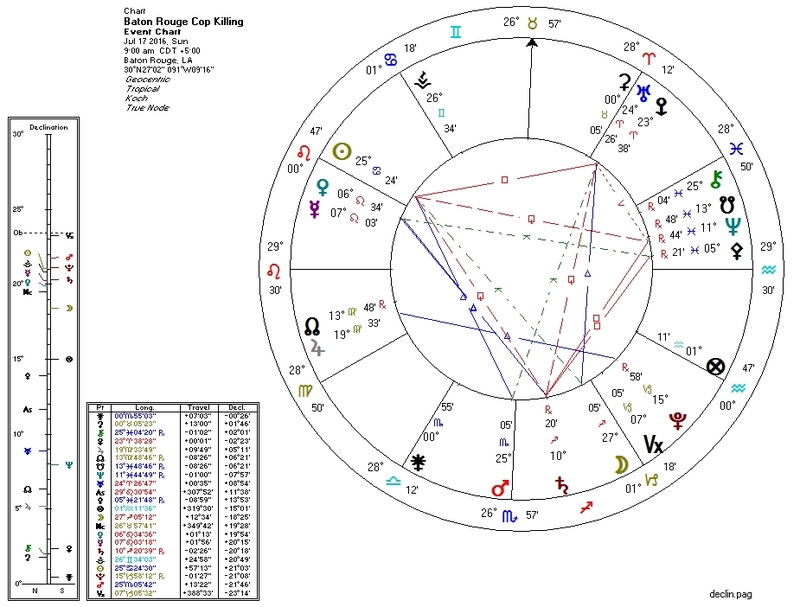 The North-Node/Jupiter trine to Pluto this summer does seem to have helped with inspiring much ideologically-driven murder.